I found this prolific crop of red berries in West End Road, Herne Bay. 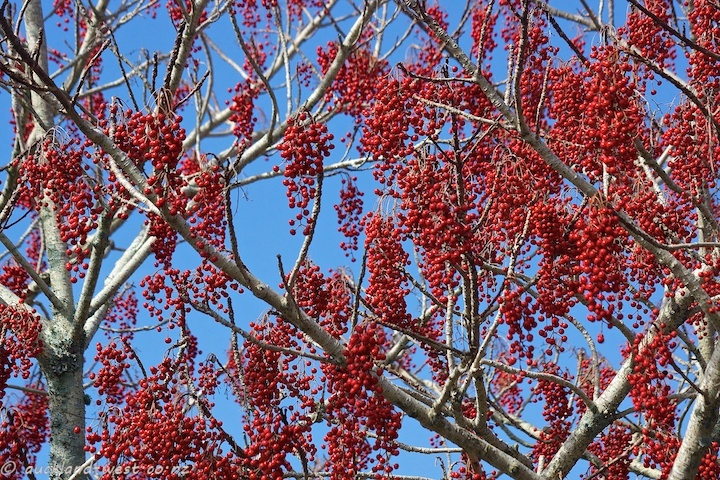 Idesia polycarpa, the Chinese Wonder Tree, is used in various suburban roadside plantings. This is wonderful! I don’t think we have it here.